The various types of chalet are spread over the park. The interiors and exteriors are different, but all are nicely maintained and fully furnished. All chalets have air conditioning, a terrace/veranda and garden furniture. There are more simple, smaller types and larger luxury types. Considering the living space, the 5th person must always be a child up to 10 years of age. 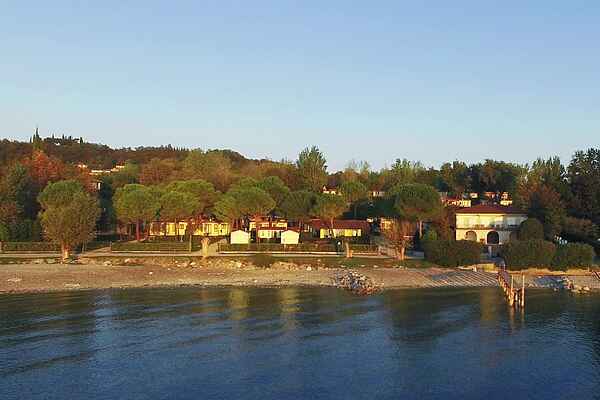 Whichever type you book, the location of the park, right across from the shore of Lake Garda, is always unique.